I've said it before, and I'll say it again. 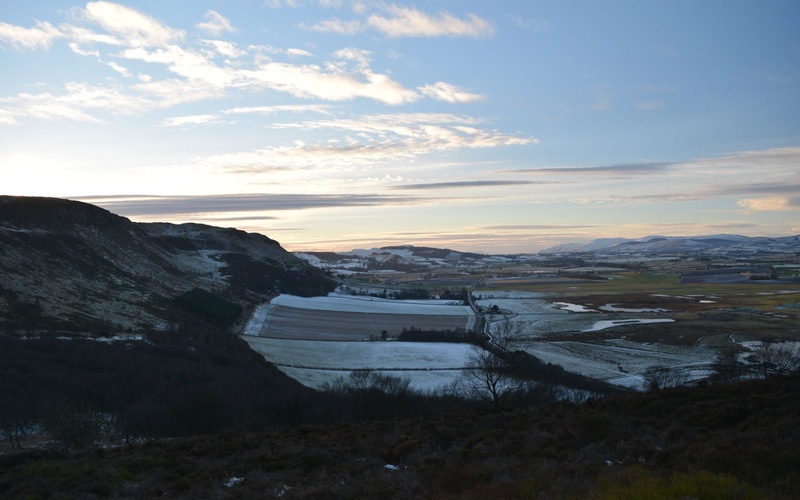 The Lowlands are blessed with miniature hill ranges that make perfect winter half-days. 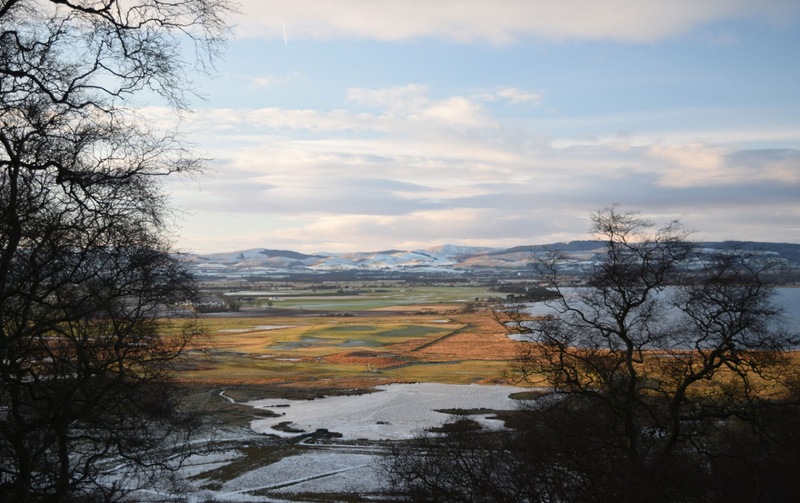 To go for a brisk, unplanned walk up the Ochils, Pentlands, or Campsies is such an integral part of my life that I sometimes have difficulty imagining their absence. What do people do at the weekends who don't have access to good quality walks? Its a mystery. And so we wound up at the foot of Benarty at the tail end of a beautiful winter's day. I had been keen to get a walk but we had prioritised other activities. Now it was time to bag this Marilyn. 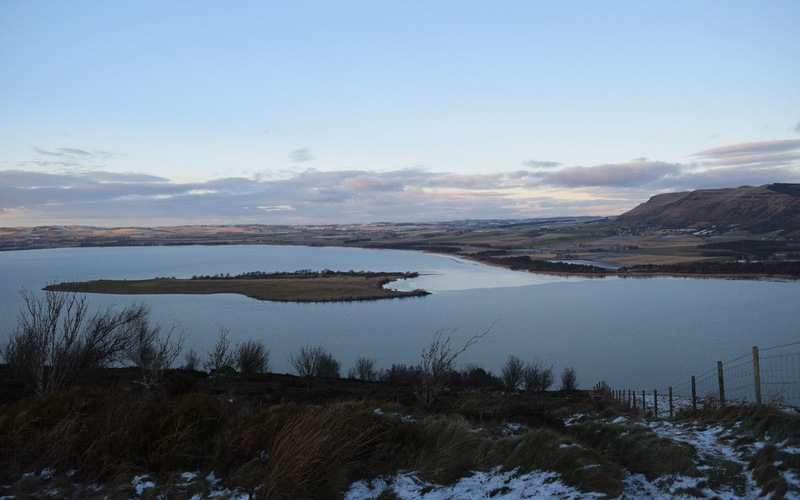 It is only 356m high but rises steeply above Loch Leven and the M90, a hill of character that I had long wanted to traverse. And there was still an hour and a half before sunset. I was quietly confident. As we headed up through a lovely birchwood, now shadowed in the short winter light, we could hear birdsong. 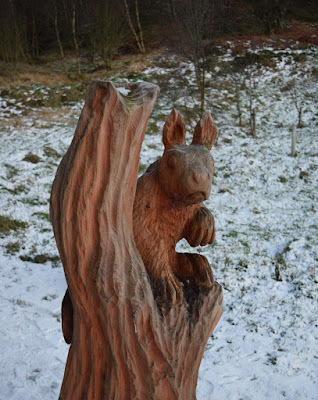 No surprise as this is an RSPB reserve. On the path were the tracks of deer, rabbits, squirrels. The only other people we saw were heading down. "Take care," said a perfumed lady hanging on to her daughter, "it's slippery!" But unlike them, we were appropriately shod. 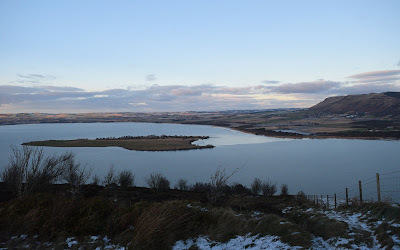 Halfway up a viewpoint looks over Loch Leven. We could see the Lomonds of Fife, St Serf's Island with a fishing bothy on it (I later discovered this is not a bothy but an ancient ruined priory!) and a glider somehow finding lift in the freezing air. It was about to get dark. No problem, push on! But this was when the problems started. A march across a field and we were confronted with a barbed-wire fence or a stand of gorse. Neither were fancied. We retreated a bit and tried again at a gate. More barbed wire ahead, but also a track? It wasn't on the map. We followed it. It led us down instead towards Ballingry. There were trees all round. We'd faffed and bimbled and were still 1km from the summit. We had to head back now before dark. I'd thought this would be easy. Back at the car park I looked back at the dark shape above us, scunnered. The easiest and quickest way up Benarty is from the minor road to the south. 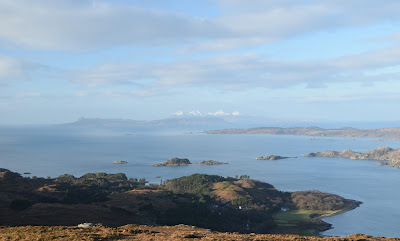 I went up from the visitors' centre at the end of October. From the high point of the new path going over the shoulder of the hill I turned right [roughly west] up a faint path until I reached a wall. I don't remember a barbed wire fence but if there was it was easily crossed. Once over the wall a narrow but very obvious path led to the trig point. How Scottish is the Kilt?